Get Referred: The Big Change In #SocialRecruiting? There is a feature that I have been noticing appearing on most of the Facebook recruiting applications. The get referred feature enables you to see how you are connected with the employing company, and enables you to message your contacts to ask to be referred for a particular job. In most of the apps you get to see both your LinkedIn connections and your Facebook connections. You can find this feature on the Work4Labs, TMJ, Gooodjob, Glassdoor, BranchOut, Jibe and more. This might not seem like a big deal, it has become common place, but I think it could be. My thinking behind this is that it changes the dynamic for social referrals and job pipeline. I’m a big fan of social referrals. The average person has 125 Facebook friends and 225 LinkedIn connections. From the research I’ve conducted there is usually a 20% crossover between the channels, and around 70% relevance for employment. This might be as tenuous as living in the right area, but when you multiply the numbers by the number of employees then there is massive potential. > Understanding that a social-referral is based on a profile match and is not a recommendation. this means removing accountability and asking for the level of relationship. > Establishing trust at point of sign up that you want access to networks for automated matching only. You need to provide reassurance that you won’t be stripping any data or messaging anyone without going through the owner of the network first. > Establishing a review and response time to ALL social referrals regardless of fit. > Rewards for referrals rather than hires. > Making the process quick, and using technology to take the work out of matching, with no reliance on memory. 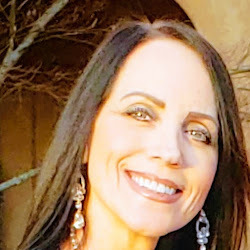 These are the pillars on which I build social referral programs, along with ensuring high-profile visibility and recognition well beyond the launch date. The reality of this however is that most social referral programs falter beyond the first 3 months because they cease to be a priority, become a distraction or the promised rewards or recognition are not forthcoming. There is always a new initiative or something more important that becomes a priority. To make these programs work you need to embed them in to culture, and keep them going. It takes real effort, but the pipeline rewards are significant. What changes this is the get referred button because this changes the onus from the employee to the interested party in terms of effort. Potentially this also changes the candidate experience where referral candidates are given priority for review and response. It also gives potential candidates the opportunity to look deeper in to companies by enabling conversation and investigation on a peer level before application, and the more informed the candidate, the better the conversion rate to employee, because those who choose to opt in after investigation interview better because they have already established their interest. LinkedIn go a bit further on their get referred feature because they show the relationship with the advertising recruiter and the closest connections. I’d like to see this feature being integrated in to all the applications beyond who you know, including features like who you know who does this job now with the potential employer. The how are you connected feature is also a great way to promote a talent network, giving potential candidates a great reason to express their interest, even if they are not ready to apply. As this feature catches on, it will only encourage people to make connections within companies that could be of interest at some stage in their career, and offers a very real benefit to those who network. Combining an internal social referral program with get referred features on all jobs and social places will only enhance your pipeline, and make your applications better. Get referred might just make a real difference to your results. I’ve worked in and around recruiters for the last 30 years. I’ve been a director of a national recruitment business, and up to 3 years ago all of my career had been in third-party agency sector. the last few years nearly all of my clients have been corporate, because the corporate sector has been quickest change, but I’m not by any means anti-agency, or one of those ex-recruiters taking a pompous attitude about those recruiters who are still running a desk. I write this post because I’m concerned for the future of some of the recruiters out there who are showing no sign of change despite what the market is telling them. this isn’t about social media, or the really slow adoption by some recruiting firms. The big challenge is coming from direct sourcing particularly in the EMEA region. Most of the businesses I know who have historically used external recruiters for the majority of their hiring are starting to look at bringing recruiting in-house, Whilst it is easy to think that this is all about reducing the cost of hire, the answer is a bit wider than being just about the £’s or $’s. If that was the case, the low or flat fee recruiters who have set out to buy mass business by slashing margins would be doing much better than they appear to be when you cut through the hype. I know very few businesses who feel this offers them that much benefit, cheap is rarely little more than that. > Maximizing employer brand and telling their own story. > Value. If you are offering little more than a CV service then how can you justify the fees? > Pipeline. sourcing beyond immediate needs and forward planning. Building relationships now. > Staff referrals. Seen as the best source of hiring, now extended by social referrals. > Expert knowledge of the market to offer real advice. Being a real expert means being immersed in the market you recruit in, making connections who can keep you current, and being a real consultant rather than a salesmen. > Building unique relationships so that you can offer candidates they can not reach through conventional sourcing. > A real network rather than a candidate base. You need to be in a position to offer knowledge and candidates these companies just can’t access, and that means building relationships, moving from recruiting as a transactional sales process through to having a real network in the niche you recruit. I hope agency recruiters can make that change, looking beyond the sale now mentality, and make the changes whilst they have the option. Susan Avello is smart.and sassy. Susan blogs at HRVirtualcafe.Com. You should check it out. I was lucky enough to meet her at #SHRM12 in the blogger lounge, and we exchange tweets from time to time.Earlier this week Avello shared an infographic that she had put together for a presentation. I like this infographic because theres a range of sources including a SHRM survey on attitudes to social media. Susan was good enough to share all of the original data sources. I have copied these at the end of the post in case you want any of the numbers or access to the original reports.  57% of respondents surveyed say their organization does NOT block access to social media on company-owned computers or handheld devices?  Almost three of every five employees globally (58 percent) admitted that they have allowed non-employees to use their corporate devices unsupervised.  70% of employees with smartphones regularly check their emails outside the normal business hours.  42% of employees log onto their business email accounts while home on sick leave.  43% of employees connect to their emails on their smartphones in order to get ahead and ease their workloads for the following business day.  By the end of 2011, 100,000 employees of IBM can connect their handheld devices to internal networks of IBM and by 2012 another 100,000 employees will be connected to it. 90% of HR respondents believe that social networking should be used as an HR tool. 40 percent of college students and 45 percent of young employees would accept a lower-paying job if it had more flexibility on device choice, social media access, and mobility than a higher-paying job with less flexibility. 64 percent of college students would ask about social media usage policies during job interviews, and one in four overall (24 percent) said it will be a key factor in determining whether or not to accept an offer. 41 percent of young professionals said their companies marketed a flexible device and social media policy to recruit and attract them. More than half of college students globally (56 percent) replied that if they encountered a company that banned access to social media, they would either not accept the job offer or would join and find a way to get around it anyway. 29 percent of college students believe that once they begin working, it will be their right –- not just a privilege –- to be able to work remotely with a flexible schedule. Only 36% of organizations with a competency model have linked it to their reward programs. Most organizations have been unable to effectively leverage their investment in HR technology. Only 44% of organizations formally identify employees with critical skills. Fully 68% identify high potentials, but only 28% inform those employees who have been identified. Short-term incentive (STI) programs provide greater flexibility because payouts can rise or fall depending on business conditions. Funding for STI programs increased sharply last year, from 88% to 111% of target as profits increased, and employers expect to fully fund STI programs in 2011. 3% thought their managers treated them as key parts of the organization and no fewer than 60% felt their senior managers treated them as just another organizational asset to be managed. Lets be honest about this, job boards aren’t dead, and are showing no sign of passing on any time soon. LinkedIn is not a job board, it’s a place you can post jobs with other content. Facebook are so keen on the job board concept that they want to build their own of sorts. as discussed in my last post. Recruiters love job boards because for the most part, the candidates that come from them are low hanging fruit and easier to convert to hires. Posting to a job board is the default process for most recruiters, especially in the agency world, it’s often automated through job posting tools before any search takes place. Post and pray is alive and well! Last week I worked with a team of agency recruiters on what they were spending, and how they could reduce their spend whilst increasing the quality of the response. for most recruiters, advertising is an after thought and mostly a cut and paste job description. A job description is rarely a sales document. It’s a list of duties and what the hiring company is looking for, and not what the company can offer. They are often full of general statements, like “good team-player” rather than anything specific that is of use to job seekers. What I’m seeing from all the research in this area is that potential candidates are worn out by the application process, getting no feedback and the like. They are only applying for jobs where they think they have a good chance of getting an interview. This means that the skills required need to be clear and the top text. Ads that look like fishing ads with multiple locations are really a waste of money, the job must look real and not a CV collection point. This means coming up top in searches when job seekers enter their searches. Before writing your text, check what the competition is posting. Consider what you would set as the search parameters if you were the job seeker. 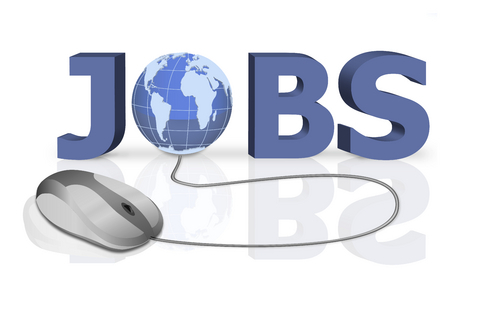 The jobs that come out at the top will show the number of times the keywords have been used. You need to go one better. It is not about keyword stuffing though, repeated key words need to be in context. It’s not just about being found, it’s more important to be found by the right people. this means doing a little research. This means adding specific skills as keywords in your text and title. this might cut down the volume of response, but it will get the right people applying. Most job boards will provide you with response data. Monitor the ratio of views to applies to see if you are converting the people who are looking at your ad in to applicants. If the ratio is low, you are either getting found by the wrong people or the job is being presented in the wrong way. Monitor all your views, response, interviews and hires so that you can constantly look at ways of improving what you do. Consider what would make you apply. Your job needs to hit the spot ahead of your competition, which means selling what is in it for them before listing duties etc. Top text is what you are looking for (specifics), second text is what you can offer in real terms and specifics. Why should someone want your job over your competitors? This is massively overlooked but is a critical area. Most job seekers don’t visit the board on a daily basis in the hope that a new job has popped up, but register, upload a CV and sign up for jobs by e-mail. That means that the right people are likely to see your job by e-mail. > Do you know what the jobs look like when they get mailed to applicants? sign up for a few because this is how your jobs are going to be delivered. > Think title. If your title is the same as everyone else’s then it is not going to stand out. including a location will help with this, as well as salary. Most jobs by e-mail show title only, and this is what is going to either get people to click on the link or move on. Keeping your ads current keep them top of the listings. It is worth advertising fewer jobs and refreshing more often, people search most current jobs from the last few days first, and if they find what they want then they are unlikely to look further. By spending time on your ads, using the CV database to understand which job boards are best for your target audience and using keywords to get found will help you get the right eyes to your ad, once they are there, it’s appealing copy that gets results, and it pays to back this up with plenty of social content for people who like to check out opportunities before hitting apply. A strategy of making sure your employer brand content is aligned with your job advertising will get the two content places working in unison. I’ve been following Paul Jacobs new business Jobgram Ltd since they launched earlier this year. I’m going to be publishing a case study shortly that will share the results of one of the Jobgram campaigns. What is clear is that these infographic job descriptions have caught the imagination and are getting shared around a lot more than conventional advertising. I particularly like Paul’s latest offering for a cool social media job. It is simple, but I think Paul has been very creative in combining images from the channels. Pass it on! I’ve been talking quite a lot recently about the candidate experience, and where it might be breaking down. Usually, when we are talking candidate experience we are really talking about the application process, and how much the technology isn’t really working. When I first go in to a business to look at their recruiting process, with a view to taking them social, one of the first places I look is the drop off rates. I want to know the ratio of click-throughs to people who actually apply, and tellingly number of people who start the application process and then drop out. I’m looking to see how far they go and where they are taking the decision to quit. Looking for trends in where they are making the decision that it is not really worth the bother. If there is a lot of click-throughs but a low number of people starting to complete the application process, the problem usually lies in the landing page. Typical reasons for drop off is things like taking people out of channel and in to an ATS, or to a career site. If the candidates are in Facebook, then the application process needs to stay there. The drop off rate when you don;t runs around 45% on average. Another problem is when clicking on a link takes you to a registration page rather than a job or job content. I think many people underestimate what a big step it can be for people to apply for a job. If they are not sold on the opportunity when you start asking for information then the chances are that they are going to have a change of heart. If they are arriving by mobile and need to bookmark the job or e-mail it to themselves, only 50% ever bother revisiting. Candidate research is showing that people are only applying for jobs that they think they have a chance of getting an interview. Job seeker fatigue is showing that unless they think they have a good chance of getting through the application process, then they are not going to start it, and fear wasting time before ending up in a black hole. information on requirements need to be clear and transparent to get the conversions in to applicants. With all of these barriers, my big question is why we ask people to apply at all? I don’t think it is really necessary in the data age. 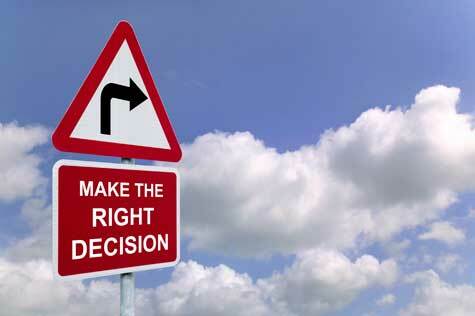 All the information we need as recruiters to make decisions on who we want to apply is for the most part available on-line, all we need to be able to do is access it. My view is that it would be so much more efficient for everyone if we asked people to express interest rather than push them in to a lengthy application process. Recruiters don’t normally look at candidates until the technology has vetted them. What I’m seeing is that this is no guarantee that the candidates left will fit the bill, or that the best suited candidates may well have either dropped out been vetted out by the machines. It’s a broken process, and why do we do things this way? Is it because it’s the most efficient way of doing things or just because we always have? I suspect the latter. If candidates were to express interest rather than apply, and the recruiters got a look at their profile and details, then they can make a decision on the direction the candidate should be taking. If their details look like a match, then direct them to the application process or assessments. If they look a good candidate but not right for the role, direct them in to an easy sign up talent network, and if they just don’t look right, you can manage the rejection process in the best possible way. This has to be better for candidates and i believe better for the recruiters. What do you think? Last week, at #SHRM12 I got to meet Glassdoor founder and CEO Robert Hohman. He has a resume that reads like a whose who on the internet, having been President of Hotwire (the travel division of Expedia). Bob was one of the founding members of Expedia, carving a career through most of the travel divisions of the business, being one of the original employees, joining from Microsoft where he started his career. I got to spend some extended time with Scott Dobroski, the community expert at Glassdoor. I’ve been interested in the site for quite a while, and tracking their progress since they launched an application that overlays the platform on Facebook without the need to leave the platform. The concept behind Glassdoor is to give job seekers access to data and reviews about employers from their employees and previous candidates. Given Bob’s background, it’s not surprising that they describe this as the TripAdvisor for job seekers. As consumers we are getting used to leaving reviews to help others, and Glassdoor go further by offering extra features to those users who do just that. You leave a review, add salary information etc, you get more access and more features. As a concept it is easy to see the real value of this kind of platform, and when you add the Facebook platform in to the mix with close to a billion users globally, you get to see the real potential. Once you click submit the pop up will ask you for more info if the review is less than 60 words, with the option to post, though it may not appear, or to edit and add extra info.. Submitting this data takes you to a salary screen asking for annual, hourly or monthly salary. >Employer name – with the tick box option to leave it blank and add additional info on employer size and type etc. Submitting this data asks for a confirmation of job title to match common titles in the database. This moves you to screens with similar information on interview process and interview questions. On the plus side I can see the benefit of this information, and community minded people will be more than happy to contribute and take part. On the downside I was asked to complete a 5 minute review and I’m now 40 minutes in. I’m tempted to quit. A bit more transparency here might be better, although this data is optional, and I do have the chance to win an i-pad. A small gripe but one for consideration. Completing a detailed review to this stage with enough thought and info to be valuable to others will take at least an hour. The other area for improvement is that I got asked to submit information like employer name, type, city, type etc multiple times. Auto-complete from information already submitted would be time-saving and less frustrating. >How would you describe your interview process – Negative, neutral or positive. Submit this data and you are asked for 2 interview questions with the option to add answers or comments and tags. and the option to add more questions, comments and tags. Last option is to add workplace photos and captions. The upload is simple, though it was a bit irritating to have to add company information and detail for the fifth time. I think Glassdoor need to look at fixing this for time-saving and the benefit of the users. It was also not clear how to quit these optional screens without signing out completely and possibly not returning. The information asked for is comprehensive, and invaluable to job seekers when job hunting, considering applications and preparing for interview. it’s also invaluable for employers to keep a handle on their real employer brand. Users of either the Facebook app or the main site (which mirror each other), are easy to navigate. Users searching the jobs tab filter by job title and location, all time down to the last 24 hours, company ratings (using the stars) and distance from location. Theres also an advanced feature allowing search by company. Job seekers can be as wide or narrow in their options as they choose, and the default is automatic to local area and country. Looking at the results for the UK, it’s very accurate, with additional options to conduct the same searches by salaries, companies and reviews or interview details. Navigation, as it should be is brilliantly simple,. Each company selected offers an overview, salaries, reviews, interviews, photos, jobs and your Facebook connections who are members of Glassdoor who work at the company. You can view the profile of each of the employees listed, identify mutual connections and send a message,, which could prove useful in the application process. Glassdoor generate revenue by selling enhanced listings which enable more employer branding features like video etc, enhanced search results for jobs and companies and featured listings. Ad’s can be featured alongside any company profile unless the company has an enhanced profile, another good reason for investing in your profile. Jobs in search include the enhanced jobs and aggregated jobs from sources such as CareerBuilder, the Ladders and most other sites. Sponsored or enhanced jobs are clearly tagged. I think there is a real benefit to investing in both an enhanced profiles and jobs to rank above your competitors, because there are more than enough features, reviews and profiles to be a valuable destination for anyone looking for employer information, and recent shows that job seekers are looking for more and more information on a company from sources they trust before applying. The most notable development for me though has been the growth in users for the Facebook app. It’s easy to see the potential here given Glassdoors coverage of both traditional web and the Facebook audience. Checking in on Appdata.Com, the average daily users is 580,000 with monthly average users of 3,700,000, having gained a massive 3,200,000 monthly average users since June 4′th. I’m not quite sure on the reason for this sudden growth spurt, though the ADU figure went from 220,000 on June 25′th, peaking at 1,400,000 on June 30′th before falling to 580,000 on July 1′st. It is volatile numbers but the totals now make Glassdoor the top career app on Facebook at the moment. Branchout currently ranks at 2,600,000 MAU and 90,000 DAU by comparison. I’d like to investigate these numbers a little more to properly understand the reasoning behind it, but combined with the web traffic, Glassdoor is proving a powerful destination for job seekers, and i think it is the user generated reviews that are providing the real value. I was recently asked to contribute to an e-book aimed at third party recruiting firms. I will share the links when the book becomes available. but in the meantime, this is an exert on my thoughts on some of the challenges the recruitment industry faces from corporate recruiting to technology adoption. The recruitment agency market in the UK is facing its toughest period of completion, with the challenge coming on 3 fronts: Direct sourcing, data and candidate demands. Social media makes direct sourcing a logical choice for many corporates. In the past agencies have been able to retain a strong position because they have been the default source of hire for most companies. HR depts. Have lacked both the time and expertise to source the best talent, so agencies became the natural choice. Over the last few years we have seen more businesses appointing talent acquisition teams set up, with many of the practioners switching sides from recruitment companies and bringing their expertise in house. It is easy to assume that this is all about cost saving, and whilst there is some merit in this, with companies like Riccoh and Oracle claiming to have reduced spend by up to £3Mn in one year, I believe the real reason is closer to greater efficiency and employer branding. Corporate companies are now looking to employees to be their brand advocates through social media activities like blogging, video etc. in on-line places like Facebook, YouTube and Twitter. LinkedIn in particular have simplified the process of identifying talent and making approaches. The recruiter products are geared to corporate recruiters, with extra features and capability that is not available in the agency recruiter versions. The smoke and mirrors of locating talent is fast disappearing, taking away some of the agency recruiters competitive advantage. Having names and details of people in a database is no longer a real benefit. When everyone has a social footprint. People are easy to locate. Agency’s need to be thinking about what corporate businesses are willing to pay for and it is about value. This means recruiters need to be able to offer more than a CV service. They will pay for expertise, advice and relationships with hard to find candidates in niche areas. Recruiters need to invest time and resource in to building and maintaining these relationships ahead of requirement. It’s a big shift from the current transactional model. Corporate companies feel that only they can sell their employer brand and tell their story. They are also leveraging social referrals and employee generated content to drive the pipeline of applications. Other businesses are looking to technology to develop talent communities and talent networks to profile and engage with potential candidates for now and in the future. Recruiting is moving from the need now transactional model to one that is more about relationships built over time. Looking in to the not too distant future it is conceivable that anyone will have access to profiles to anybody. The big closed database that used to be the biggest selling point for agencies is rapidly decreasing in value. In terms of employer brand, an increasing number of businesses who are not yet ready yet to take on all of their own sourcing and recruiting are looking to RPO as a half-way house solution. This is less about “rent-a-recruiter”, and is more about combining recruitment expertise with employer brand and the story of work. This presents some opportunity for either those agencies that currently offer an RPO solution or have the capability to develop this service. Genuine recruiting partnerships means their work story becomes your work story, and gives agencies the opportunity to stay involved. As previously mentioned, the big challenge is really around data. In the past, a recruitment businesses value was built around the data they “owned” and controlled. The size of database and information held by the business was a big factor, and agencies inevitably fought to store and protect everything. Today, there is no value in data itself. The real value for investment purposes is a businesses capability to interpret and use data. Much of the data held in a traditional data-base becomes out of date on the day it is submitted. A CV is only relevant for a short space of time. LinkedIn is becoming the professional reference point for people. This is increasingly stretching well beyond recruiting. When someone calls you or you meet somebody new, the first place you look is their LinkedIn profile. It used to be Google, now it’s LinkedIn. The result of this is that a LinkedIn profile is fast becoming the most up to date career and skills record of a person, it’s current and updated in real time. This means that there is no need to keep the data, only the location of the data. What is important is how you organise access and tag the data for retrieval. Tagging is everything for searching and sourcing. It is about information retrieval rather than information storage. The traditional recruitment databases will need to play catch up with this, and recruiters will need to catch up and facilitate this. Recent research conducted by the Evenbase Group, which includes brands like Jobsite, Broadbean and Jobrapido shows that the wants from candidates are almost the opposite of the wants from recruiters. The biggest divide is over mobile compatability. Traffic to job boards and career sites is increasing significantly month on month, yet the demand for mobile capability from recruiters is negligible. This highlights the gap between the thinking of job seekers and recruiters. Recruitment companies should be reviewing their mobile capability now and ensuring that candidates can access content, browse jobs, sign up and apply with any device. Mobile is not a luxury; it is fast becoming a necessity. These are my thoughts on the near future. In order to compete with corporate brands for in demand talent, agencies are going to have to learn to engage in the places that candidates want to. This means adopting new skills and investing time in relationships. Recruiters are well equipped to make this shift, the next step is recognising the need and building the foundations. 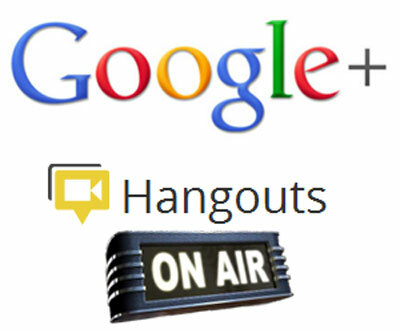 I’m going to be taking part in a hang out chat on Google+ with Steven Duque, Bullhorns social media evangelist. We decided to go with a hangout because we want the conversations to be informal, rehearsed and a genuine conversation. The feature we are going to be using is Google+ Air that was launched in May. I think this is a brilliant feature for recruiters because you have plenty of control (through a mini-studio) over the image, who gets highlighted, the camera angles, lighting etc. You can broadcast direct on to your Google+ page, promote the “show” as on air, capture and record to YouTube etc, as well as sharing invites through all the social channels. The other really neat feature of Air is that you can embed a view widget on any web space. I’m looking forward to giving this tech a live run after having had plenty of practice, and it is free to use. The topic of the chat is “The future of social recruiting”. I have a few views on the topic, but we are talking future not present or past. I have plenty of ideas that I want to share. One of my big thoughts is that we will are moving from an “apply for” transactional model to a “talk to” model. that is relationship/engagement based. There is no need to apply for jobs any more, simply express interest. If the recruiters can see who is interested and evaluate them accordingly then they can direct the potential candidates in the right direction. Thats got to be good for recruiters and improve the candidate experience all around. I’m going to be joining the hang out from #truAmsterdam on the 21′st June at 11.00am EST/4.00 PM GMT, so you can expect a few surprise guests to join the conversation. You can view the hangout on a specially built landing page on the Bullhorn Reach blog. Bullhorn Reach will be sponsoring #TruAmsterdam again as well as hosting the hang out. I’m a bigfan of the reach product and it is great to be associated with the business. It has been a big week at Bullhorn. This week the Boston based business announced that they have been acquired by Vista Equity Partners for just short of $100Mn.Founder Art Papas is staying at the helm of the business with the management team staying in place. The investment will enable Bullhorn to push on with some exciting developments on both their CRM and Reach products. This is great news given what they have already achieved. They work exclusively in the recruitment sector, offering a pure SAAS solution. Vista already have over $33.6bn invested in SAAS companies, and it is going to be interesting to see how the various parts might fit together in areas like research and development. It’s going to be exciting watching. Congratulations to Art and all the team. I look forward to hanging out. See you there.